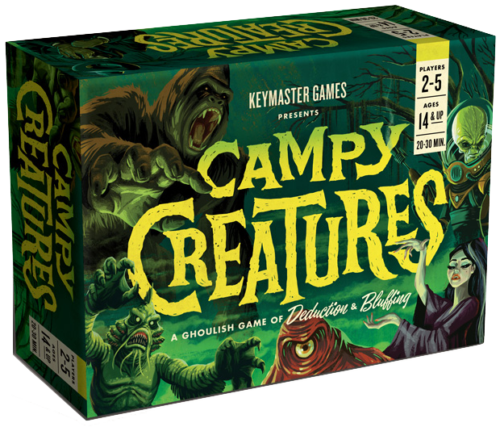 I’m just going to say this to start: Campy Creatures from Keymaster Games is one of the most gorgeously illustrated card games I’ve played in a VERY long time. I first played it well over a year ago now, and that statement remains as true now as it did when I first tried it. There are a few different things in a Campy Creatures box: Creature Cards, Mortal Cards, and the various other components. Working backward: the other components include a well laid out rulebook that feels thematically suitable, a small “Clash-o-Meter” board for breaking ties and keeping score, individual player markers for the Clash-o-Meter, and individual “Creeples” for the score track. Each player gets the same Creature Deck, composed of nine different Creature Cards numbered 0-8. Each card is beautifully illustrated in the style of a classic monster movie poster and includes the name, number, and special ability for that creature. The backs of the cards are individually themed to match your player marker and creeple figure, so it very easy to sort out who’s cards are whose if they get mixed up. Finally, there is the deck of Mortal Cards. Capturing Mortals is how you win the game. Some are worth positive points, some are worth negative points, and some vary in point value depending on how many you have at the end of the game. The Mortal Cards aren’t as elaborately illustrated as the Creature Cards, but they don’t really need to be. They still feel like something out of a campy old monster movie, which is the point here. Gameplay starts with a simple trick-taking mechanic. You reveal one Mortal Card per player (which doesn’t actually mean everyone will get one in the end) and each player then secretly selects a numbered Creature Card from their hand. When the Creature Cards are revealed, it establishes the order that players get to select which Mortal Card(s) they will take. Most of the time, the higher numbered Creature will draft first, but each Creature also has a unique ability that may change that outcome in a variety of ways. Any ties are determined by the order the Player Markers are set on the Creep-o-Meter, with the higher player winning the tie and then shifting to the bottom. Once you can no longer reveal one Mortal per Player, the round ends and everyone totals their points and moves their Creeple along the scoring track on the outside of the Creep-o-Meter board, with the game ending after three rounds. Campy Creatures is a fast, fun, game that is just dripping with personality. It’s one of those rare games that I will always keep on my shelf to pull out when the mood strikes. It’s also a game that caused me some issues because when I needed (not wanted, needed) to move on to play a different game for review, none of my players wanted to stop. 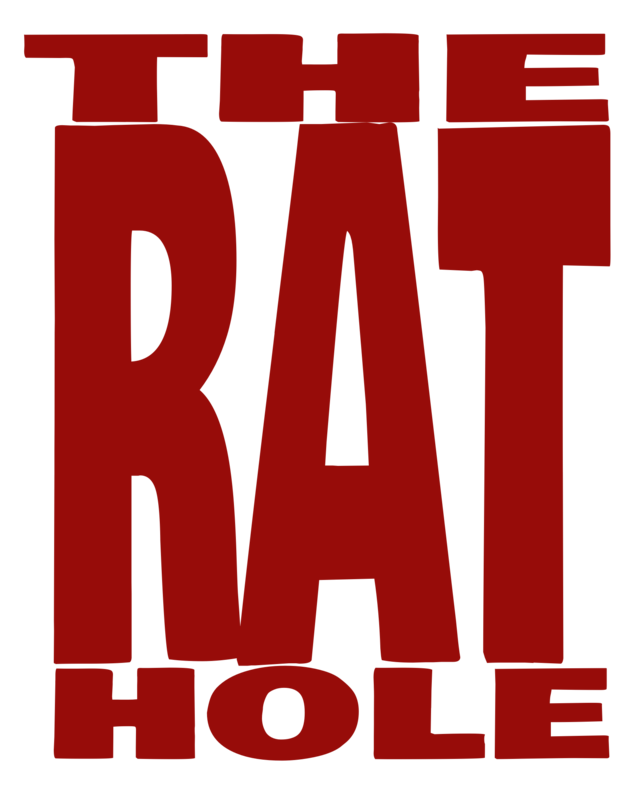 To make matters worse, there’s an expansion coming. I think I’m going to have to get at least two weeks ahead before I can risk pulling the expansion out to review down the road.